I really love the hat and coat on the first photo! Love the coat on the first photo. It suits the guy so well and love the touch of that hat too! I like hats! 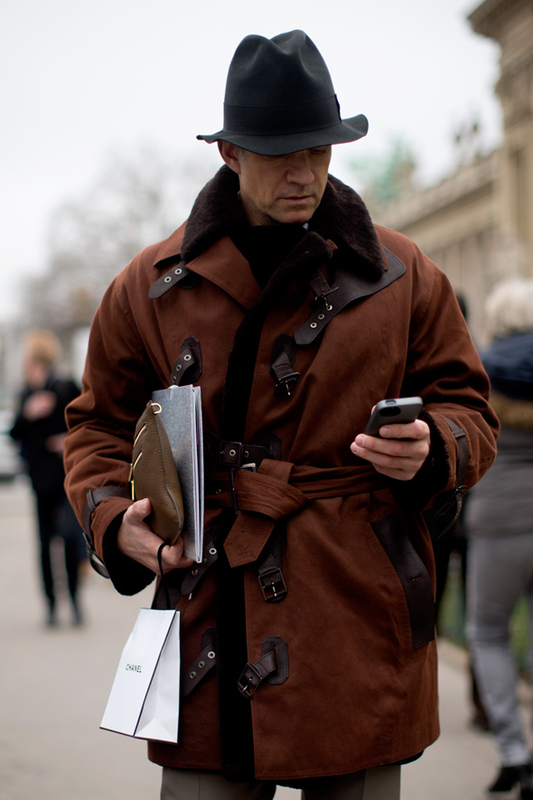 The coat (love the color, texture and closures) and hat in the first photo work well together. I wear my belts the same way. I like the first coat! 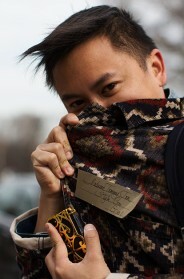 I love the guy’s style in the first photo…Beautiful. WHERE can I get THAT HAT? Anyone recognize this millinery? I agree. The first jacket looks too fussy. Too much going on with all those buckles and straps. Really? I think more old fashioned and gentlemanly. I wonder if it projeacts differently to men and women. I would like to find that coat in the top photo. The hat, on the other hand, looks like it needs an old-fashioned clean-and-block. The hat and coat in photo one are superb. 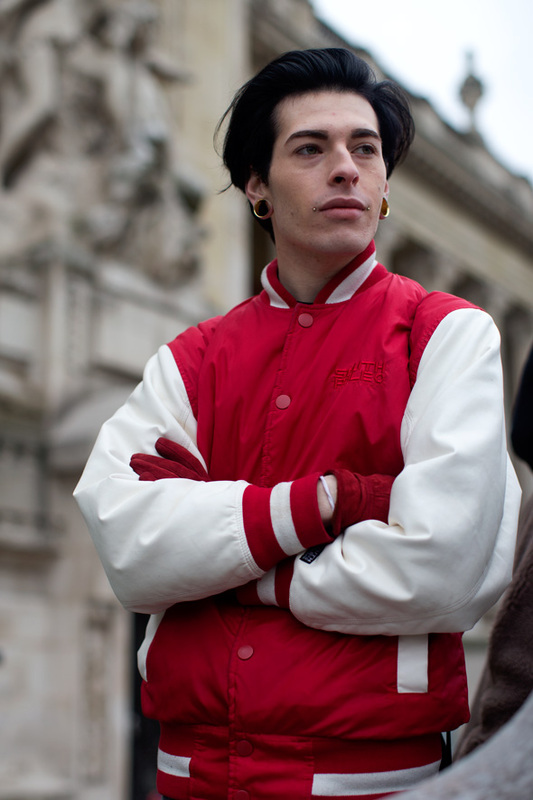 Like the piercings & ear gauges with the classic varsity jacket… nice tension there. Both different but cool styles! Top photo man – just too good! That coat, so rugged and manly, yet uber stylish! hmmm…I wonder what’s in the Chanel bag? The coat looks like Berluti one’s. The first coat has a Steampunk vibe to it methinks.